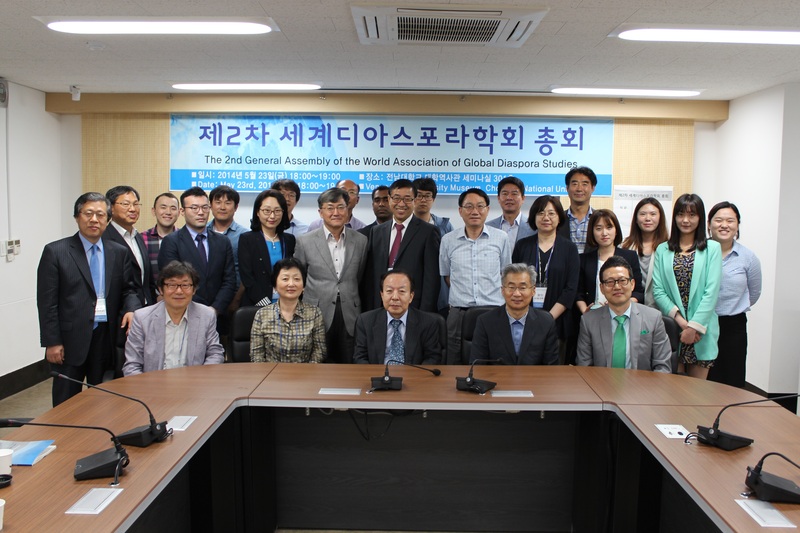 2014 International Conference on Global Diaspora and the 2nd General Assembly has been held on May 23rd, 2014 and completed successfully. Almost 50 professors participated in the conference and the General Assembly, and 24 professors from 16 different countries submitted the Power of Attorney. In the 2nd General Assembly, there was time to report the overview of the WADIS and plan for the program especially, e-journal of Global Diaspora Studies. In addition, Prof. Chae-wan Lim was reappointed as the president and Prof. Shi Xue Qin (Xiamen University) was reappointed as the auditor. 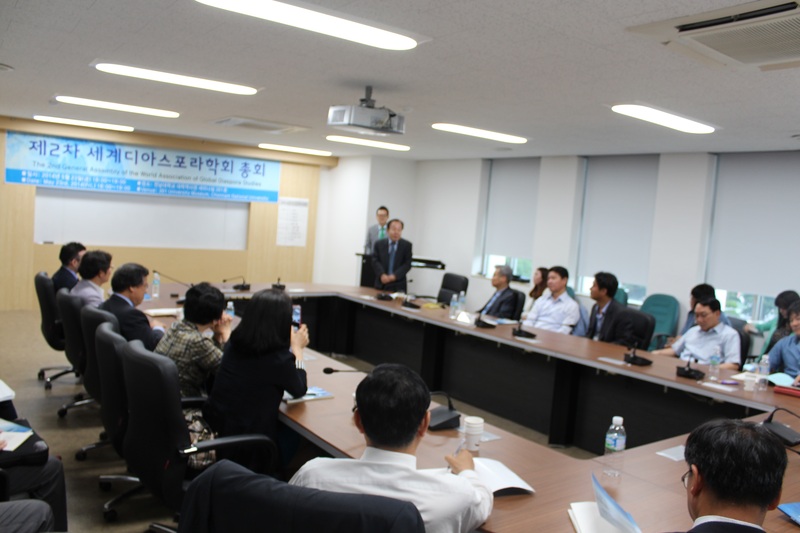 Besides, Prof. Woo-gil Choi (Sunmoon Univ.) was elected as an auditor. Afterward we will prepare to publish the e-journal and organize several conferences. I will inform the detailed schedule and program on the website (www.wadis.or.kr) as soon as possible, so please visit and refer the website.